As of press time, that message was posted in stark block letters on Patagonia’s home page. 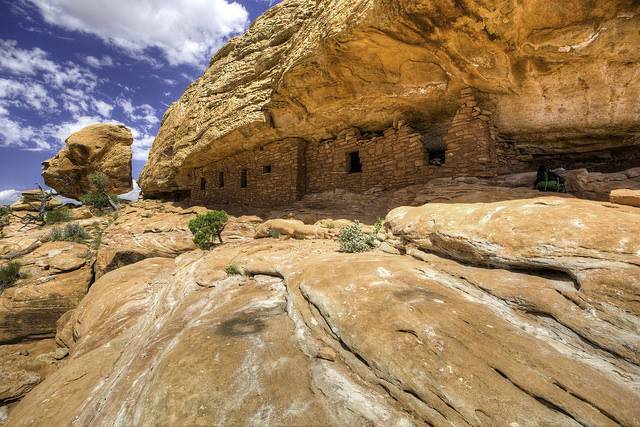 Patagonia's reaction was rapid in the aftermath of Monday evening’s White House announcement that the Trump Administration seeks to shrink the size of Bears Ears National Monument in Utah by as much as 90 percent. In total, five national monuments will see their size reduced, for a total rollback of 1.2 million acres that previously were under the federal government’s protection. Nevertheless, Patagonia is one organization that will not let this reversal move forward without a fight. The outdoor clothing and gear manufacturer said it will join forces with environmental organizations, Native American groups and other businesses to keep those lands protected. According to AdAge, Patagonia plans on suing the Trump Administration, joining forces with groups including Friends of Cedar Mesa, the Native American group Utah Dine Bikeyah and Archaeology Southwest. Their action will reportedly follow in the footsteps of the Inter Tribal Coalition, which filed its own lawsuit on Monday evening in a District of Columbia federal court. Patagonia has also launched an online petition to encourage the general public to express their views about the fate of Bears Ears. The outdoor retailer has been opposing the Trump administration’s public lands policies since the transfer of power from Barack Obama’s presidency in January. In protesting Utah politicians’ alignment with the Trump White House, the company withdrew from a lucrative outdoor clothing trade show that was an regular event in Salt Lake City for over 20 years. Other companies followed suit, and the event will be held in Denver starting next year. This summer, Patagonia launched a TV advertising buy for the first time ever in an effort to rally public support for public lands protection. Patagonia’s argument for preserving public lands is as much an economic argument as it is an environmental and moral one. The company cites statistics estimating that the outdoor recreation industry employs 7.6 million jobs and generates $887 million in economic activity – outpacing the jobs and spending generated by the U.S. fossil fuels sector.